A car make known for its elegance Mercedes is a brand synonymous with luxury and when you damage the lower grille of your Mercedes, replacing it with an alternative that is professional and high quality is important. All our car grilles, including those made for Mercedes, are made to the highest standards and as a leading stainless steel grille company we have become renowned for our refined and independently accredited quality management prowess. Our Mercedes lower grille set is suitable for models from 2017, and with a fitting time of just 30 minutes, you can harness premium quality woven wire mesh sooner than you think. 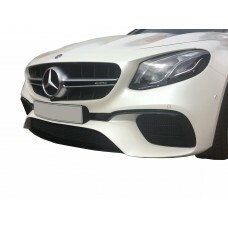 The lower grilles of Mercedes are particularly susceptible to damage, but thanks to the Zunsport Mercedes grille set you can enhance the appearance of your vehicle once more, correct damage caused by road debris and protect the heat exchangers within from harm. Your Mercedes AMG E63 (W213) - Front Grille Set deserves the very best, and when it comes to someth..
Searching for an easy to install grille set that will blend with the original design of your Mercede..
Finding a grille to suit your Mercedes AMG E63 (W213) - Outer Grille Set isn’t always easy, but her..